History repeats that Bangladesh is a country of spontaneous festivals. One of the most celebrated traditional festivals across the country is Bangla new year, also known as Noboborsho or Pohela Boishakh (পহেলা বৈশাখ) which refers to the first day of Bangla calendar. It is directly related to the long aged Bengali culture and tradition. As a public holiday, Pohela Boishakh in Bangladesh is celebrated by the whole nation with a heartening environment. In continuation of this glorified tradition, Bangla new year 2019 is prepared to wave the country with a warm gratification after a complete year. Who Started Bengali New Year? The great Mughal emperor Akbar brought in the Bengali calendar in attention in 1556 A.D. to make the tax collection easier. On pahela baisakh, tax were collected generally. According to ancient pohela boishakh history, emperor Akbar is remembered as the establisher of Bangla calendar and today's Pohela boishakh festival as well. What Are The Attractions For Pohela Baishakh 1426? As practiced events, Pohela boishakh 1426 (as Bengali calendar, the New Year is referred to 1426) will also be celebrated with many traditional events and preparations. On this occasion, Bengali families clean and decorate their house with local tradition such as colorful designs called 'alpana'. Then people have a bath and after wearing new dresses, go out for many festive gatherings like boishakhi mela, noukabaich and boli khela etc. Boishakhi mela is one of the most delightful episodes of pohela boishakh (or Pahela baishakh) with so many options to enjoy. Are You Ready For Celebrating Pohela Boishakh 2019? Pohela boishakh 2019 (people may also know as Poyla Boisakh or Poila Baishakh) is the most splendid and colorful carnival of Bangladeshi people. The whole nation is waiting to embrace this biggest cultural festivity of Bangladesh. But what about yourself? Are you prepared to cheer the Bangla Noboborsho (শুভ নববর্ষ ১৪২৬)? Either you are ready or not- it's high time to hold yourself ready for the gala feast day of the country. Because there will be so many colors and events on this day, that abstain thyself from this extraordinary episode can cause you a great regret. As the preparation of bangla noboborsho 2019, people usually shop new cloth, children's toy, men's apparel and women's dress as their budget and ability. If you lack the idea of the price and quality of your Pohela Boishakh 2019 shopping list, it’s best to check the pahela boisakh sale campaign of Daraz Bangladesh to find the best deals of pahela boishakh shopping at most exciting price rates. You can also use the price filter tag to match the best products with your tight account. You can find all kinds of men's pohela boishakh dress like panjabi, t-shirt, fatua, lungi, gamcha, kurta and all high-quality women's pohela boishakh dress like pohela boishakhi saree (also called a s sharee, saree or sari), unstitched salwar kameez, three pieces, lehenga, kurti, tops at best price in Bangladesh for your preparation of boishakhi mela 2019. And along with children's boishakhi dresses and toy collection, some unbelievable deals for smartphone, power bank, smart TV or Android TV are waiting for you at Daraz. To capture all of your best pohela boishakh pictures, you can collect DSLR camera from this biggest campaign with amazing discounts. You can also order from the global collection to have the best quality foreign deals at a comparatively cheap price. Apart from these, customers can avail all kinds of pohela boishakh foods also with the fastest home delivery facility. Mark the date 14th April, 2019 on your calendar, it’s pohela boishakh. 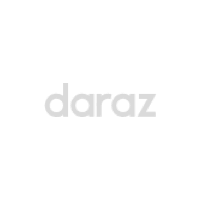 Being the largest online store, Daraz stock an excellent collection of all kinds of boishakhi shopping with prices relatively lower than the local market. So, order online at Bangla New Year Sale Campaign 2019 of Daraz BD and get quicker home delivery of your desired pohela boishakh shopping in Dhaka, Chottogram, Khulna, Sylhet and countrywide with cash on delivery and multiple easy payment methods. You'll also get 7 days easy return policy and appropriate warranty to enjoy your best boishakhi shopping experience in Bangladesh. Shuvo Bangla noboborsho 1426!